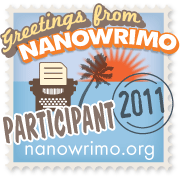 So many of you may have seen my Facebook page post about joining NanoWrimo (National Novel Writing Month). It’s only day three and I am enjoying it so far. This is my first year doing it. Yesterday I created a plot or at least I have begun to develop a story line and characters. I don’t know if I am moving too fast or too slow or giving enough detail. I don’t know any of this. Mid-way through my writing last night, I began to tear a bit which made proud because it seemed like I am making progress, I said to myself, “If I am seeing these two characters for who they are, then so will someone else.” Of course, I then realized my topic requires some research which I am not quite sure how to go about or what to do. I am really enjoying it so far and remain steadfast in achieving the goal of 50,000 words in 30 days. Oh yeah, that is the goal we all have to achieve. A little nuts, especially if you have a job and a life to attend to as well. But I am determined to get it done. Somehow. I realized last week that this book may be done sooner than I expected, as I mentioned on Facebook, I believe. The book/play is only 112 pages long. After page 112, the rest of the book talks about playwright Thornton Wilder. I thought I’d write a post about who he was as well, if you didn’t know already. I have to admit I am not too familiar with him, I’ve heard his name several times, passed his name in the bookstore, but never really gave it much thought. I did however, know of “Our Town.” I’ve wanted to read it for a long time. For some reason the play always resonated with me I always felt a deep connection to the story. Mr. Wilder was born in Madison, Wisconsin in 1897, just a few years before the turn of a century, a time filled with many changes, cities were, if not already becoming industrialized and some of world’s biggest inventions were on the brink of discovery. What a time to be alive and born! With “Our Town” Mr. Wilder understands the American Dream, he encapsulates small town beliefs in a time when the world moved a little slower and everyone appreciates the little things in life. According to the Mr. Wilder’s Web site, http://www.thorntonwilder.com, Mr. Wilder continues to be read and performed around the world. “Our Town” is performed at least once each day somewhere in this country , with his other major dramas and shorter plays not far behind.In 2008, “Our Town” and “The Bridge of San Luis Rey” were selected as a joint choice for the NEA’s “Big Read” Program. Mr. Wilder is an accomplished novelist and playwright and in reading “Our Town” so far, I see how he is able to capture the simplicity of life in a small town. In 1928, he won a Pulitzer Prize for “The Bridge of San Luis Bay,” the second of his seven novels and he received the Pulitzer Prize in Drama for “Our Town” in 1938 and “The Skin of Our Teeth” in 1943. Mr. Wilder’s hit “The Matchmaker” was adapted as the musical “Hello, Dolly!” His work remains widely read and familiar around the world. His screenplay for Alfred Hitchcock’s psycho-thriller “Shadow of a Doubt in 1943 remains a classic psycho-thriller. 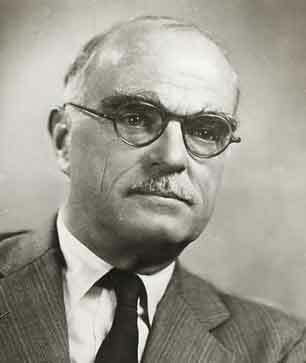 On April 17, 1997, the centenary of his birth, the US Postal Service unveiled the Thornton Wilder 32-cent stamp in Hamden, Connecticut, his official address after 1930 and where he died on December 7, 1975. I just finished Book 3 in “Middlesex” nearing the end with Book 4, I don’t have much to say at this point, I decided I will wait until the end to give my final view of this book. But I have to admit, I am itching for a new book.